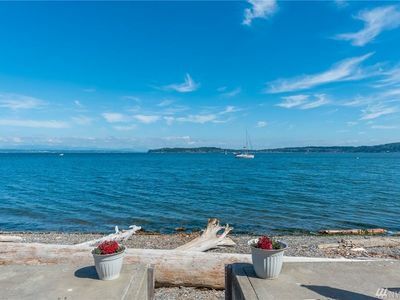 Beach, Park, Downtown, Marina - All At Your Door Step! 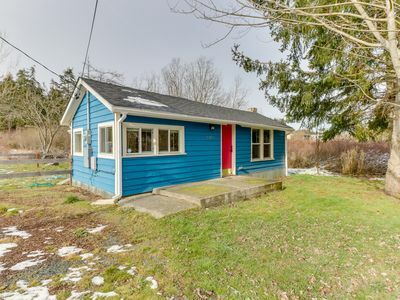 Welcome to Oak Harbor on beautiful Whidbey Island, Washington. 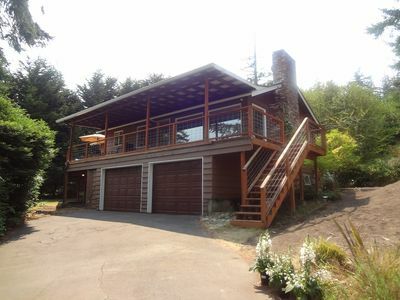 Easily accessible by the famous Deception Pass Bridge from the north or from the south by the Clinton-Mukilteo ferry. 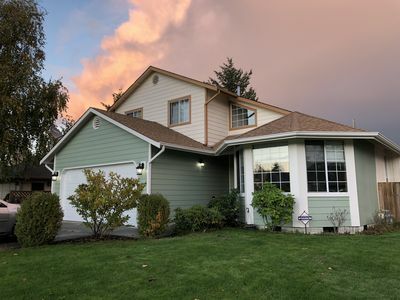 Oak Harbor is located two hours from Vancouver, BC or Seattle, WA. 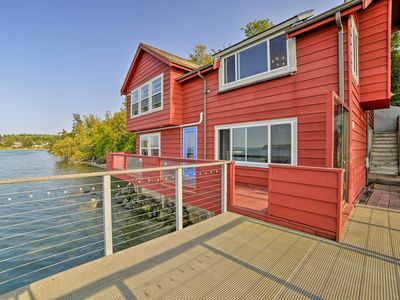 An amazing four season getaway in the heart of the scenic Puget Sound, a place of breathtaking beauty freeing you from the hustle and bustle of urban life, enjoy dreamy days and ocean breezes. Let the world keep going while you take some time away to just breath the sea air and enjoy. 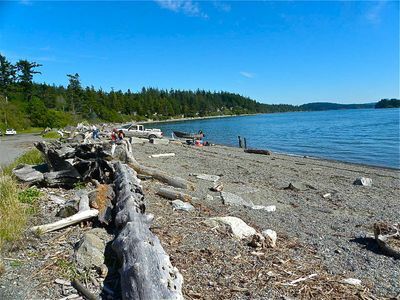 Whidbey Island is a recreational paradise offering many activities such as biking, hiking, paddling, fishing, crabbing and sailing to name just a few. 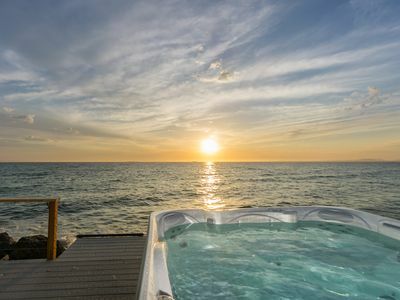 Adventure awaits yet the relaxation possibilities are endless, daydream while watching the clouds go by. 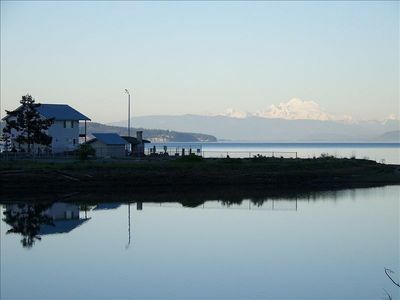 The city of Oak Harbor offers easy access to Deception Pass State Park, Coupeville, Penn Cove, Greenbank, Langley, the Keystone ferry to Port Townsend and the Olympic Peninsula, Fort Ebey, Fort Casey, miles and miles of beaches, hiking trails, lavender farms and historic sites, golfing, equestrian pursuits and NAS Whidbey Island. 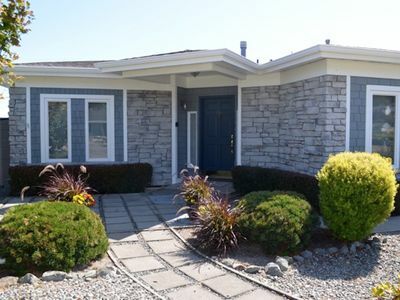 Beeksma House is ideally located to take advantage of the Oak Harbor waterfront and downtown charm. 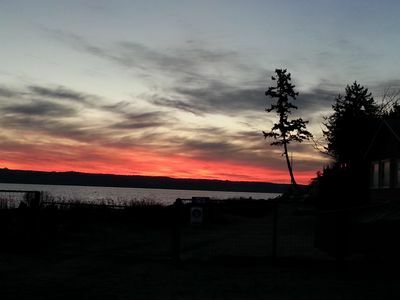 A one minute stroll brings youto Windjammer Park, locally known as City Beach, Oak Harbor's premier community park. 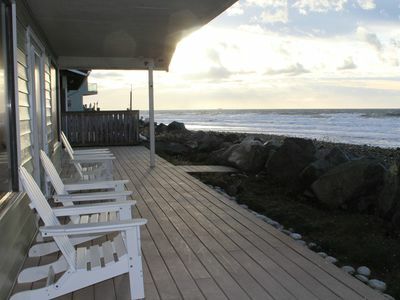 City Beach offers quiet, calm waters and picturesque views of the harbor. Landmarked by a large windmill, an ode to the Dutch heritage of many of Oak Harbor's founding citizens, the park has much to offer including numerous playgrounds, basketball courts, baseball fields, swimming lagoon, wading pools, kayak park, picnic areas and lots of grassy space to relax and play. It is the perfect place for paddling, beach combing for shells and driftwood, or strolling along the lengthy promenade. 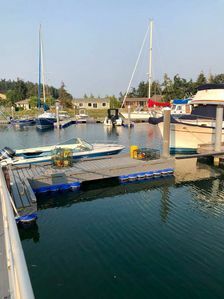 The park is host to major events on Whidbey, including the Oak Harbor Regatta, Whidbey Marathon, Jazz Festival and Oak Harbor's well known 4th of July celebrations. Just outside the front door of Beeksma House is the Freund Marsh waterfront trail. Enjoy a walk, jog or bike ride along the restored wetland area which includes a pond, native plants and an abundance of wildlife. 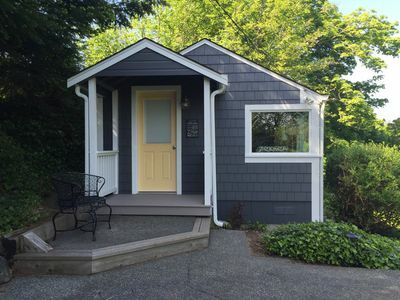 The quaint shops of Pioneer Way and the amenities of downtown Oak Harbor are a short stroll from the house, making your stay an easy one as everything is at your doorstep. A fantastic selection of restaurants and family centered entertainment await you. Or just spend a cozy night in, snuggled up by the fire...the perfect place to recharge and refresh. 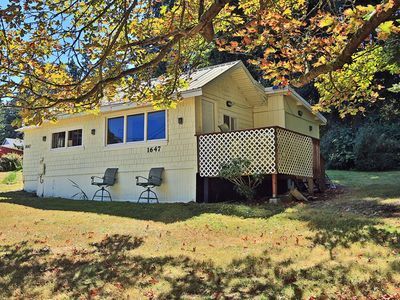 Beeksma House is a spacious and relaxing retreat...perfect for a cozy vacation catching up on your reading or the perfect jumping off spot to explore all Whidbey has to offer. The house is lovingly and thoughtfully decorated with many original artworks and custom furniture by the owners, Jen and Greg. The house is cozy yet modern and so comfortable. 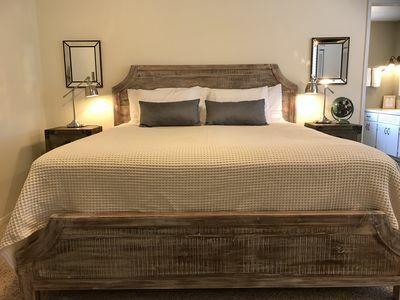 The spacious master suite with king sized bed, sitting area and ensuite is so relaxing. 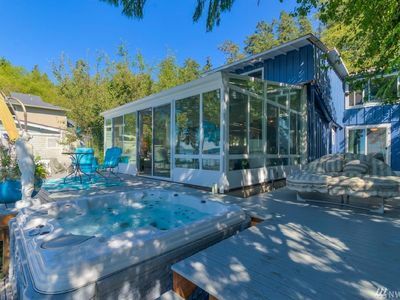 Two more bedrooms enjoy peek-a-boo harbor views, one with two bunks to sleep four, and the other with a plush and comfortable queen sized bed. 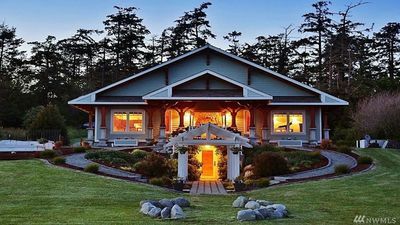 All are well appointed and the perfect place to lay your head after a day of exploring all that the island has to offer. 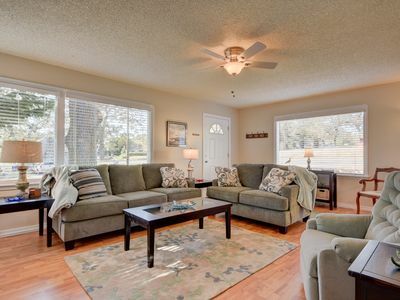 Beeksma House also features two living areas, both with fireplaces, one with a 55 inch flat screen Smart TV. Bring your favorite movies or use your online Netflix or Hulu account for easy viewing of your favorite shows. The well appointed kitchen allows for home cooked meals that you can enjoy in the gorgeous dining room with a wonderful large harvest table, perfect for family meals. The backyard is fenced for privacy and the patio is very generous...many spots to relax yet also come together. 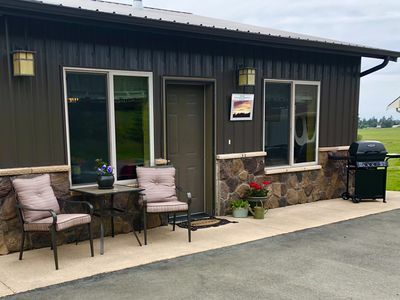 A fully equipped house that also provides sanitized beds and pillows with onsite laundry and professional cleaning after each guest assures a top quality home for your next vacation getaway. We look forward to having you as our guest --- relax, explore, enjoy! 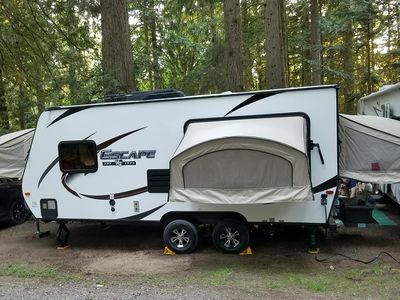 2018 Kz Travel Trailer Minutes From Town. 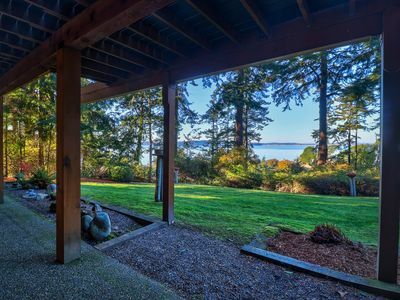 Waterfront Coupeville Home on Penn Cove w/ Deck!